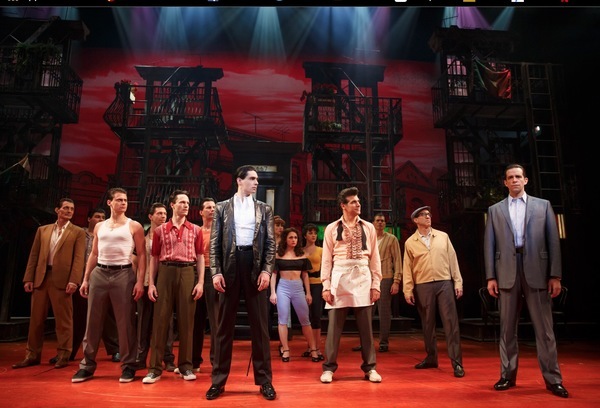 Filling the gap for New York baby boomers left by the closure of mega hit Jersey Boys, ambitious new musical A Bronx Tale has entertaining moments but struggles to overcome the unusual mixture of material and form. 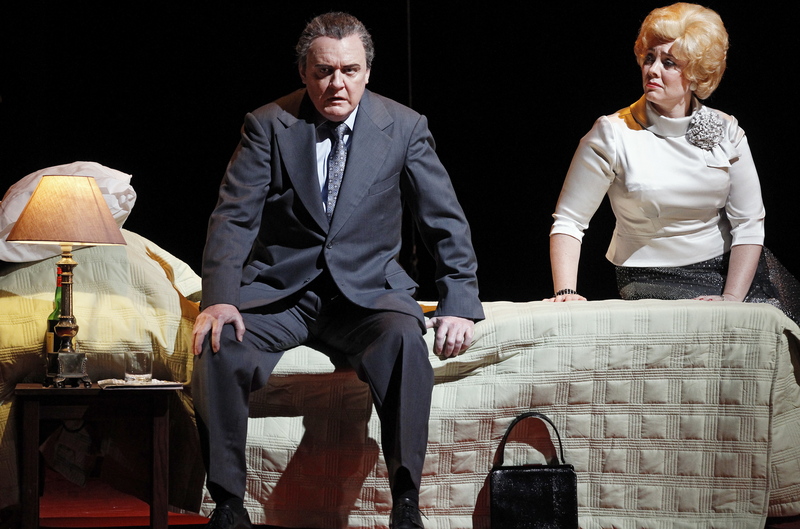 Singing and dancing wiseguys may be fine in a musical comedy, but not so much in a tragic drama. 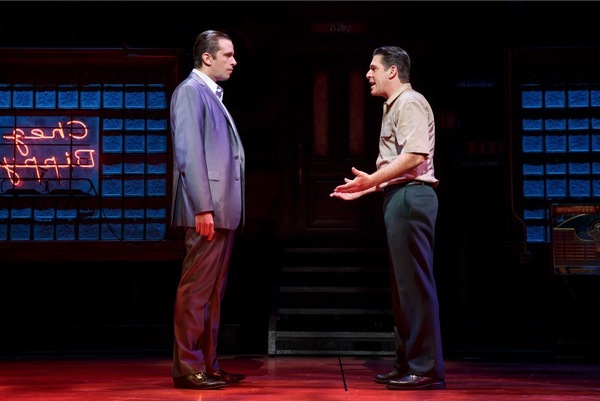 In bringing Chazz Palminteri’s life reminiscences to the musical stage, the production has no shortage of blue chip creative talents involved. Of premium value is the infectious score by Alan Menken (Music) and Glenn Slater (Lyrics). The main factor helping the gritty characters “sing” is that the music sounds exactly like the sort of tunes and styles the characters would have been listening to in 1960s New York. This aspect, in turn, eases the baby boomer audience into the show on a sentimental wave of nostalgia. Having already adapted the one-man stage show of his life story into a 1993 movie, Palminteri has now written the book for the musical. Robert de Niro, who directed the movie, has teamed with veteran Broadway director Jerry Zaks to direct the stage musical. 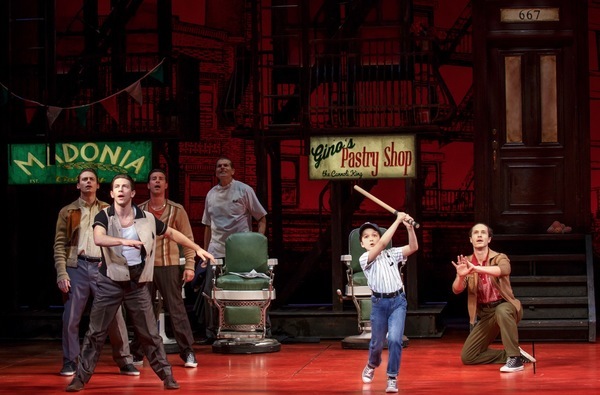 Zaks’ Broadway influence is apparent immediately, with the musical linking itself directly to Jersey Boys by opening with four guys singing under a lamppost as the story is narrated directly to the audience by one of the characters. 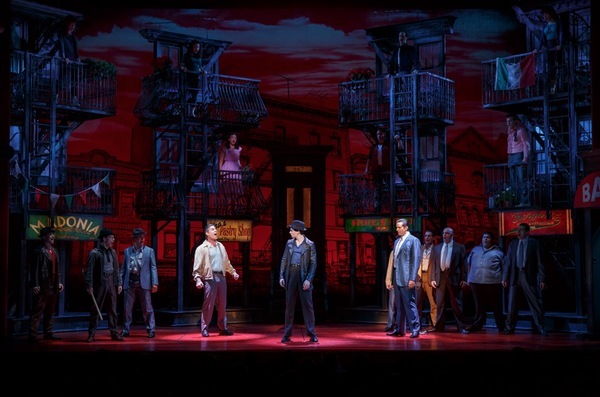 The show later pays homage to Guys and Dolls when a set of guys such as JoJo the Whale and Frankie Coffeecake shoot craps (above ground, in this instance). Another aspect that lands strongly is the first showing of violence. After the entertaining opening number has lulled the audience into feeling they are at a regular Broadway musical, shots are fired and a man is killed. The first gunshot drew some audible gasps from the audience. 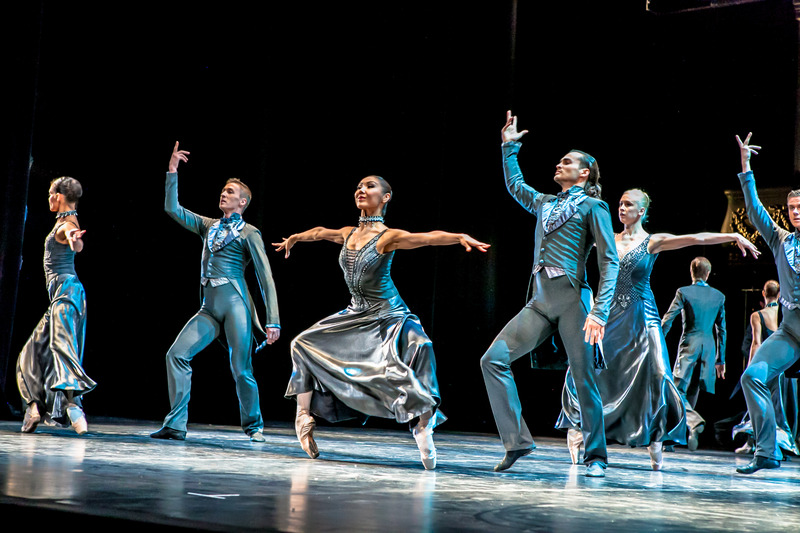 Multi-award winning costume designer William Ivey Long works totally against type in creating the down to earth costumes, with not a feather, sequin or magical fast change to be seen. Beowulf Boritt’s scenic design is a striking mix of realistic two-story brownstone units and illustrated backdrops, all rendered in red and black. Bobby Conte Thornton gives a compelling breakout performance as young Bronx resident Calogero, who is torn between his allegiances to his father (Richard H. Blake) and local mob kingpin Sonny (Nick Cordero). Established star Cordero is dependably excellent, although the strength of his godfather-like character is somewhat hobbled by his big act two ballad “One of the Great Ones,” in which he mawkishly advises young protégé Calogero about romance. Despite their romance going nowhere, Ariana DeBose is absolutely lovely as Calogero’s love interest Jane. 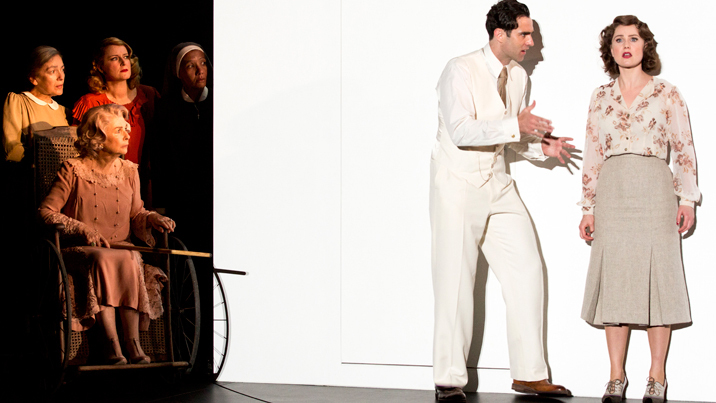 Child actor Hudson Loverro has pluck and personality to spare as Young Calogero, his lively energy helping to lift the early scenes of act one. 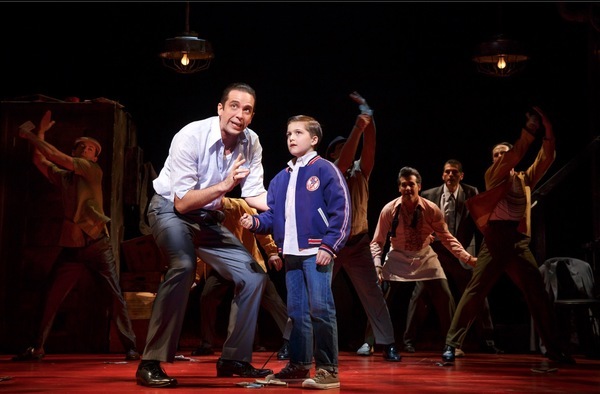 It is hard to imagine A Bronx Tale playing London or Australia. Its score, however, is sure to be interest to musical theater fans the world over. 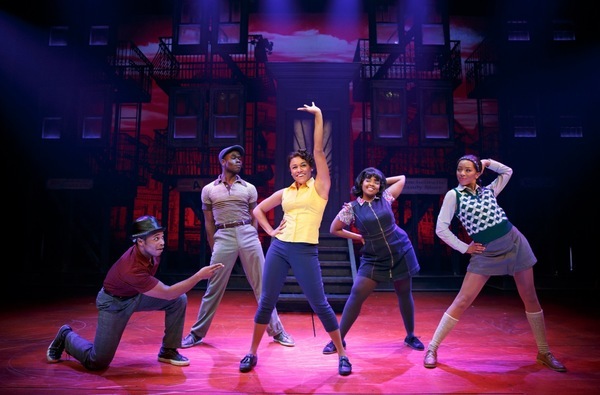 A Bronx Tale was reviewed 7pm Thursday 6 April 2017 at Longacre Theatre, New York.